LinkedIn is king when it comes to B2B social media marketing. Consisting only of professional networkers and corporate content, it is the prime lead generation hub for manufacturers. With over 500 million users, LinkedIn has evolved into an influential marketing tool and an ‘absolute must’ for B2B businesses. Increase your online brand awareness and build industry authority with highly targeted content and networking. Many companies are still failing to capitalise on the power of LinkedIn, especially as a B2B lead generation device capable of attracting an international client base for manufacturers. To ensure your brand gets the most out of LinkedIn lead generation opportunities, we’ve covered some useful tips to reap the benefits of a captive commercial audience. Maximise brand exposure with high quality images that portray your company’s personality and tell a story about who you are as a business. Use your cover photo to promote new products or services, share company news or publicise an event or trade show attendance. An extension of your company page, showcase pages are an excellent way to highlight an aspect of your business. Tailor the content and messaging to promote a specific product or service to audience segments. You don’t need to create a separate showcase page for every single product or service you produce, but instead you can focus on your big sellers or new innovations. 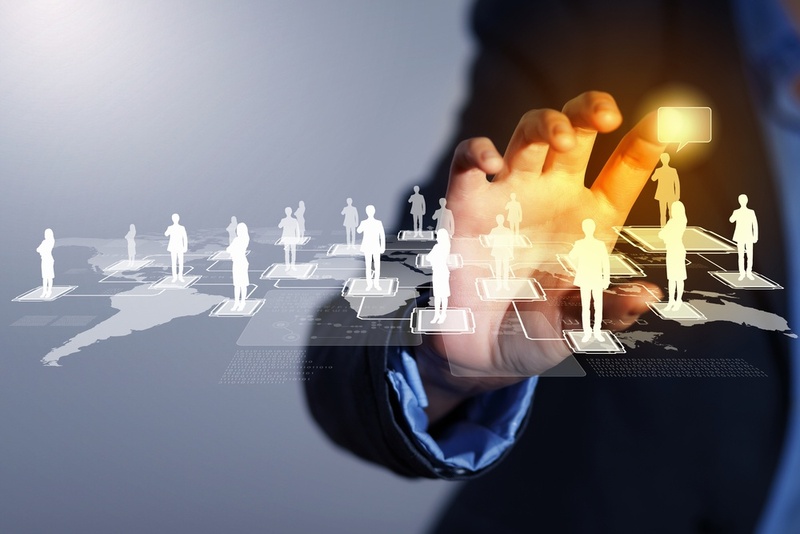 Have all employee’s personal pages listed and linked on the right – hand side of your company profile. This boosts lead generation as people can easily find the best person to talk to about a specific matter. The inclusion of management profiles also gives industry credibility to your company through their individual experience and skillset. Encourage your staff to get involved in sharing company updates and group discussions to create an inclusive company atmosphere which also helps to expand your business network. One of the most overlooked ways to optimise LinkedIn profiles for lead generation is including a clear call to action. Make it easy for your page visitors to take the next step and get in contact with your company. When sharing content, ensure blog pages have clear CTAs and downloadable content offers have easy to fill forms. Network with like-minded manufacturing professionals using LinkedIn’s ‘Groups’ feature, a valuable resource for participating in industry discussions, sharing your content and growing your influence. Even though this opportunity is available to everyone, many marketers fail to join relevant industry groups or if they do, they don’t actively involve themselves and gain value from their membership. Use LinkedIn’s searchable group directory to explore target keywords, based on location and industry relevance. It’s worth carrying out some competitor analysis to identify which groups they’re involved with. Do they regularly post in these groups? Who are they connected with? It’s crucial to get inside the mind of your opposition to capitalise on opportunities that can boost custom. Get started by checking out Manufacturing Operations Management and Industry Week Manufacturing Network. Take advantage of LinkedIn Group discussions to offer your expertise and valuable insights. Perhaps you recently published a blog or eBook on a subject being discussed within the group, take advantage of the opening to share your content with the group. Keep it casual by saying; “Your comment made me think about an article we recently published, I think you might find it helpful”. One of the perks of a LinkedIn Group membership is the ability to kick off a conversation any time you like. We’re not saying you should bombard your group with irrelevant or ‘sales’ like content, keep it strategic and only share resources that your members will value. Don’t just share your own content, link other sources to keep the discussion flowing, all the while building your authority as an industry expert. Marketers must work hard to build their profile in a group. Have your presence felt by the other members by sharing your experiences, asking questions and engaging in conversations. It’s only by doing this that you will begin to play a central role in the group, and in time feel comfortable to voice your opinion to truly establish your knowledge on the subject. When posting from your LinkedIn company page, consider your target audience and what will appeal to them most. 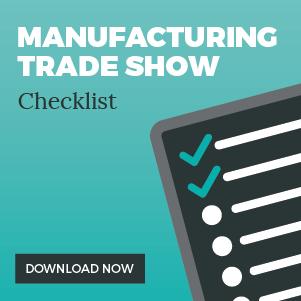 Manufacturing companies might want to attract purchasing agents within the firm they’re interested in securing business with. In this respect, think about topics which concern them and subjects which peak their interest. Think about what information your customers are looking to source online. Tailor your content to offer your clients a valuable resource and a best practice profile, which highlights your USP’s and cuts through any un-necessary clutter. Many people don’t realise that LinkedIn is also a search engine that functions similarly to Google and Yahoo. Marketers should use Search Engine Optimisation (SEO) practices to ensure their company is found ahead of the competition. Want to learn more about increasing the google ranking of your manufacturing website? Google’s search algorithm is top secret, but there’s a few things you can do to improve the rank of your manufacturing website in search results. LinkedIn is the equivalent of a never-ending networking event, except with over 500 million professionals crowded into one single room…and that’s a lot of potential leads at your fingertips! While you want to expand your network base, don’t overdo it! Avoid connecting with users for the sake of it, your content will only fall on deaf ears. Instead, focus your efforts on attracting and connecting with those users that will help you gain something and potentially secure new business. LinkedIn’s advanced search tool will help you discover the people and organisations you should be connecting with. While premium account holders have multiple options available to them, free users still have extensive access to refined searches which enable them to narrow their efforts and find exactly who they’re looking for. The ‘Advanced Search’ function helps companies sieve through millions of LinkedIn users to find their ‘perfect’ client base. This enables you to focus marketing strategies around the companies you want to directly target. For e.g. narrow the search to specific job title e.g. ‘operations manager’ or ‘purchasing agent’ within a specific area. To use the Advanced Search option, hit the drop-down menu next to the search bar, select people and then advanced. Making valuable connections within your network can be the key to securing new business. LinkedIn is a fully fledged, professionally equipped social networking site which allows people to introduce themselves to others in a friend’s network. For e.g. Before attending trade shows, it's worth getting introduced to attendees you'd like to speak with at the event! Promote and give credibility to connections with ‘Endorsements’ and ‘Recommendations. Endorsements are secondary confirmations that a user possesses a skill that they have listed on their profile. Proactively endorse connections on their profile page by clicking on their listed skills or use prompts to endorse connections through regular ‘pop up’ requests. Recommendations act as a mini LinkedIn reference. This may be a testimonial from a client or anyone who has had a professional relationship with you, such as a co-worker or manager. Good quality recommendations are held in much higher regard than endorsements, with people having to take the time to recount their experience of working with you. If your opting for paid LinkedIn promotion, collect even more high-quality leads from your ads with pre-filled forms. Lead Generation forms are available for both sponsored InMail and sponsored content. Why choose Lead Generation forms? Pre-filled forms accurately gather data from an individual’s profile, making it easy for members to fill in their info with a few clicks. Measure and prove ROI of lead gen campaigns by tracking cost per lead, form fill rate and the number of leads you’re generating within specific segments. Download leads from campaign manager or easily integrate with your CRM software. Even in our socially orientated business world, it’s extremely common for manufacturing companies to overlook LinkedIn as a valuable promotional tool to create immense growth opportunities. To take full advantage of your company’s profile, you should maximise upon all of LinkedIn’s features and encourage your employees to do the same. By tailoring your content to suit your intended audience, you’ll enhance your company’s opportunities by building industry credibility, referral relationships and B2B lead generation. For forward thinking manufacturers, generating leads online has the power to transform marketing activities. To learn more about lead generation techniques, check out our guide.